Ecommerce turned out to be a boon for its customers from the time of its advent. Portals such as Amazon, eBay and Alibaba have been key tools for us to shop online. Without them we would have to rush out the door, face peak hour traffic, stand in serpentine queues and then purchase the one random item we needed. It doesn’t end there. We go through the same on our return home. Imagine the number of hours that are used up in buying one item. With ECommerce sites, we could easily click a button and have the product delivered to our doorsteps. But, these portals have been lying to us. There is one reality of which we have been ignorant about for a long time. Hidden costs. The above-mentioned portals took quite a chunk of our hard earned money as transaction fees from us! How Blockchain Can Solve This? For a customer, the online portal was merely a means of achieving goods in a quicker and orderly manner. So, with their advent, people rejoiced and went on huge shopping sprees. Now, with Blockchain ruling the roost, the deletion of these middle-men type portals is inevitable. Business owners are now beginning to sell their products directly to the customers. As a decentralized market, we save on costs and generate a neat sum as savings. Many new portals are coming in place where the consumer can deal with the seller directly and not have to pay even a penny as transaction fee. Some are even offering to purchase and sell products in Bitcoin and other cryptocurrencies. Let’s have a look at some of these portals. Open Bazaar is a portal which trades in all types of goods. Be it clothing or utensils, it deals in all. Freely list your products on its portal and deal directly with potential customers via its chat option. You can even customize a product based on the wants and the needs of the potential buyer. One of its most important feature is that, it accepts cryptocurrency in return of its goods. Similarly, if you want to sell your products, all you need to do is install its application on your PC or Smartphone. They have a decentralized app. It holds all your data in a distributed manner. This way you keep control of your privacy rights and protect your identity from hackers. This portal boasts of an easy to use interface and in case of a return in product, the Bitcoin that has been exchanged too shifts back to the rightful owner due to the Blockchain on which it is based. Win – Win all around we say! Slock.IT is a prototype that is technically still being developed. But why are we featuring it? That’s because they have the potential to reach greater heights. You see, they are integrating the 3 things that we love the most. IoT, Blockchain and Traveling. Slock.IT is working towards implementing these 3 together and providing us with a platform from which we can buy, sell, rent a property. With its IoT features, we can even keep an eye on the cars that ferry us across multiple destinations and know before hand how safe they are. This basically covers everything that we hold dear. It’s mobile apps, are Ethereum based and hence accept payments in Ether and similar cryptocurrencies. The first prototypes of this technology are already out in the market with key customers. Rest assured, we will be definitely placing our next booking through them without having to worry about any further details. Happy holidays everyone. There you have it. 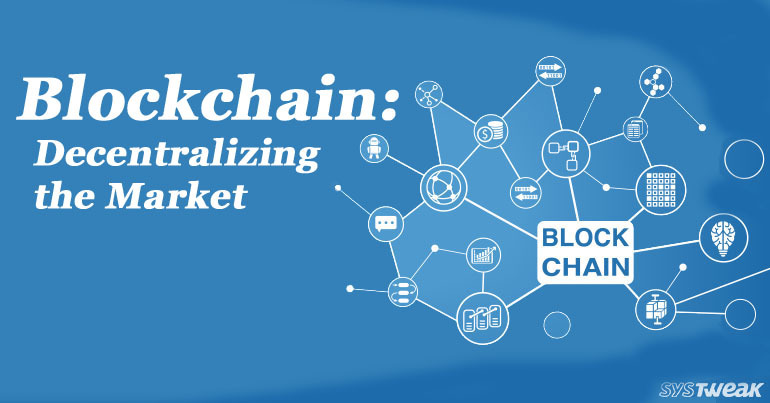 The above mentioned are just the few of the trail blazers in the Blockchain market who have the foresight of the future trends. There is no denying that there may be many others who are exploring the same. Until they do, you can enjoy this insider view of Decentralized Market. Happy Shopping everyone! Bitcoin: Christmas Shopping Made Easy!